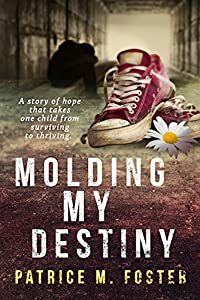 "Molding My Destiny" is a powerful story of determination and survival. One child persistent hardship and her determination to move forward. 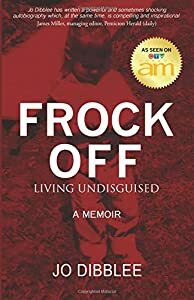 unmindful of several major setbacks.. Foster forges ahead to a better life. You will discover that success is possible even when everything points to failure. Raw, the Emotional, moving true story of perseverance in the face of intolerable hardships, change starts when we learn forgiveness. A three-week adventure becomes a tragic dilemma for a loving sister, a motherless child, and a terrified father facing unimaginable loss together and using their relationships with one another to survive. 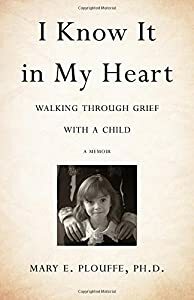 I Know It In My Heart: Walking through Grief with a Child explores the impact of early parental loss, the evolution of grief from toddler to teenager, and the devastation of adult sibling loss. Told by Mary E. Plouffe―a grieving sister who is also a psychologist―the story is more than a memoir; it is an exploration of childhood and adult grief, and how family relationships can weave them into healing. Parents, therapists, and anyone else who wants to see loss though the eyes of a child will find useful information here for guiding children through loss, and understanding how those losses impact them as they grow. 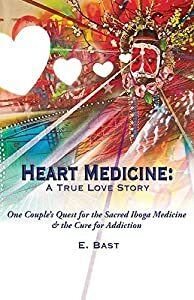 Narrated with professional wisdom steeped in personal pain, I Know It In My Heart brings us all a step closer to understanding, resilience, and healing. Are you struggling with the loss of a beloved pet? Have painful feelings of grief or guilt overwhelmed you? The loss of a pet is not only heart wrenching it is often more difficult than anything else we have ever experienced. Your pet has been there for you through good times and bad. They are your best friend, your confidant, your buddy. When that final moment arrives and you must say goodbye, the world as you know it comes to an end. Everything changes and life going forward is now empty and so very lonely without them. They are gone forever it seems. Or are they? Questions burn in your mind as you wonder what happens to your pets after they die. Did I make the right choices? Is there another realm where they coexist with my other departed pets or human loved ones? Do the pets I've had to euthanize forgive me? Did they struggle or were they in pain? Was it their time to die? Did I let them go too soon? Read actual messages from departed animals revealing detailed insights about what they experience at the end of their lives. Discover how pets feel about death, euthanasia, cremation, reincarnation and so much more. 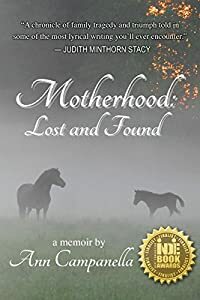 If you are grieving the loss of your beloved pet the uplifting and insightful messages within these chapters will help you break through your grief, being healing, and start living a full and purposeful life again knowing you are and always will be connected with your departed pets. 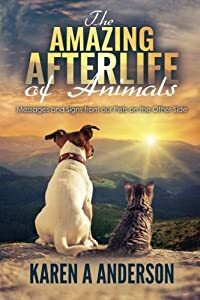 Award-winning Animal Communicator and Afterlife Expert, Karen Anderson, unveils tantalizing evidence that our pets communicate with us throughout their lives as well as after their physical death. The purity and detailed accuracy of the animals' messages may surprise you and they may even present new perspectives about life after death. Discover how deeply your pets love you and how the bonds of love never die as you journey into the amazing afterlife of animals. What if a Genie popped out of a bottle and gave you the power to create your life as it happened? Michael followed "the plan" and did everything he was supposed to for life to be successful; great job, money, dates, yet despite it all, everything wasn’t the dream he expected. 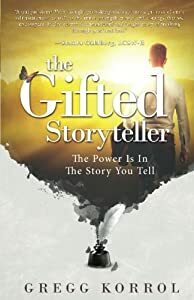 One night after work, he meets a beautiful and mysterious woman named Jeannie, who introduces him to the Gifted Storyteller, and changes his life forever. Then the disheartening discovery: 90% of narcotics addicts relapse in the first year with standard models of treatment. The Two Week Wait is absolute torture. 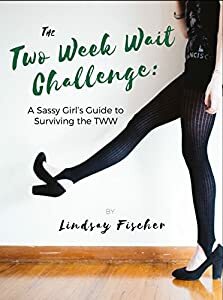 The Two Week Wait Challenge is a humorous guide for women trying to conceive, navigating the time between potential conception and administering a pregnancy test. Chock-full for easy, inexpensive self-care practices and positive affirmations, the challenge encourages women to preserve their sanity by taking brief moments for themselves each day. Plus, there is a quick way for partners to get involved in the goodness, reconnecting couples who are struggling to cope with infertility. ˃˃˃ It's funny, it's easy, and it's undeniably needed. 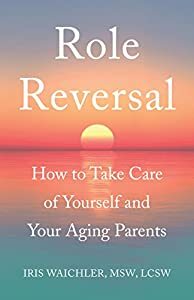 Designed to help caregivers understand how to cope with and overcome the overwhelming challenges that arise while caregiving for a loved one―especially an aging parent―Role Reversal is a comprehensive guide to navigating the enormous daily challenges faced by caregivers. 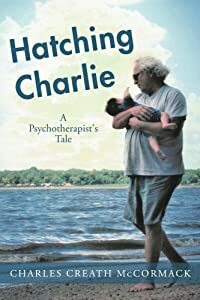 In these pages, Waichler blends her personal experience caring for her beloved father with her forty years of expertise as a patient advocate and clinical social worker. The result is a book offering invaluable information on topics ranging from estate planning to grief and anger to building a support network and finding the right level of care for your elderly parent. Formerly a magazine and newspaper editor, Ann Campanella writes creative nonfiction and poetry. After a chain of personal hardships, including a series of miscarriages and her mother becoming ill with Alzheimer’s, she felt compelled to share her story. She is the author of several collections of poetry including the award-winning What Flies Away. Her work has been published in local and national journals and anthologies. She lives on a small horse farm in North Carolina with her family and animals. To learn more about the author, visit her website at www.anncampanella.com and at Amazon Author page.